The Danish Institute for Popular Theater & Dell’Arte International are proud to present the 2016 Prize of Hope to Cornerstone Theater Company. 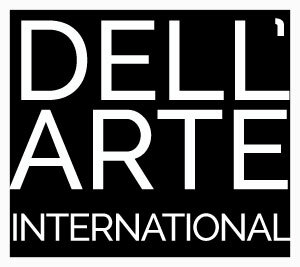 The public is invited to the award ceremony and party, which will take place on June 25, 2016 as part of the 26th annual Dell’Arte Mad River Festival. The event will begin at 5 p.m. in Dell’Arte’s Carlo Theatre. Dinner and drinks will be followed by a presentation by Cornerstone and an evening performance of The Big Thirst, a new work by the Dell’Arte Company. Click here for tickets. The Prize of Hope celebrates its 26th year this summer. “The Prize of Hope is an international award, given annually to a person or company who has worked for the hope of humankind; daringly, lovingly, vulgarly, seriously, poetically…with sparkling energy against conventional thinking, which is the greatest threat to our culture – for a world in which people use their own eyes, ears, and voice.” (Prize founders Lars Olsen & Birthe Rosenfeldt-Olsen). The Prize of Hope has been awarded to various theatre companies in Denmark since 1989 and in the U.S.A. since 2008. The prize is given every second year at Aasen Theatre in Denmark and every other year in the U.S.A. at Dell’Arte International in California at the Mad River Festival. The vision of The Prize of Hope promotes a living, vital, sharp and innovative popular art. Tim Robbins & The Actors Gang, Geoff & Dan Hoyle, and Human Nature Theatre of Petrolia are among the US awardees. Cornerstone Theater Company exemplifies the values of the Prize of Hope in their commendable work. 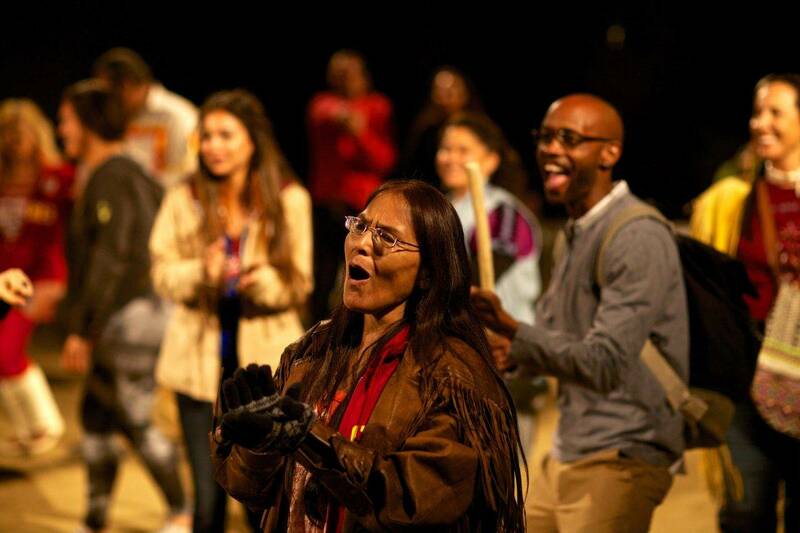 Their work for cultural diversity and human justice via a unique interactive theatre methodology makes them unique in the landscape of American Theatre. They work in communities that no other theatre serves. They tackle hard questions of the human condition with the spirit of collaboration and the idea that many voices make all possible. On this, Cornerstone’s 30thanniversary, it seems fitting to award them with the 2016 Prize of Hope. In its 30 years, Cornerstone Theater Company has commissioned more than 50 playwrights, produced over 80 new works, trained over 2000 students in their methodology, and worked with tens of thousands of people across the United States. Cornerstone was founded in 1986 as a traveling ensemble, which adapted classic works to tell the stories of both rural and urban communities. They settled in Los Angeles in 1992 to focus on urban collaborations, and launched a series of multi-year play cycles. These included the Watts Cycle, five plays seeking to build bridges between African American and Latino residents of Watts, and The Faith-Based Cycle, seven plays exploring communities of faith in Los Angeles. In 2006, Cornerstone embarked on The Justice Cycle, six plays exploring how laws shape or disrupt communities. The Justice Cycle launched in 2007 with Los Illegals, written by Artistic Director Michael John Garcés, in collaboration with day laborers, domestic workers and others on the front lines of the immigration debate. Following its success they seeded a new theatre troupe entirely comprised of day laborers called Teatro Jornalero Sin Fronteras (Day Laborer Theater Without Borders), in partnership with the National Day Laborer Organizing Network and funding from the Ford Foundation. Since October 2008, Teatro Jornalero has been developing and performing short plays that educate day laborers about their rights, and touring them to day labor sites across Los Angeles County. [T]he diversity onstage is invigorating – further confirmation that a wide palette of humanity can make dramatic conflicts more interesting. Cornerstone’s current series, The Hunger Cycle, spanning from Fall 2011 through Spring 2017, explores issues of hunger, justice, and food equity. The Hunger Cycle includes nine world premiere plays created in collaboration with communities across Los Angeles, including a state-wide tour of California. Last year Cornerstone came to Eureka with California: The Tempest as part of a 10-city tour on the future of California. Cornerstone has been profiled on CBS, CNN, NPR, and the BBC, among many others. They have been honored with Ovation, Drama-Logue, LA Weekly, and NAACP Theatre Awards. Worth Magazine named Cornerstone one of the Top 100 Charities in America. In 2009, they received the inaugural Unsung Heroes Award from the California Community and Eisner Foundations for their innovation and impact in improving the quality of life for low-income Los Angeles residents. Photo: Cornerstone Theater Company, Urban Rez, 2016. Performed at downtown Los Angeles Viaduct and Kuruvungna Springs. Maxine Napolean and cast, pictured. Photo by Kevin Campbell.